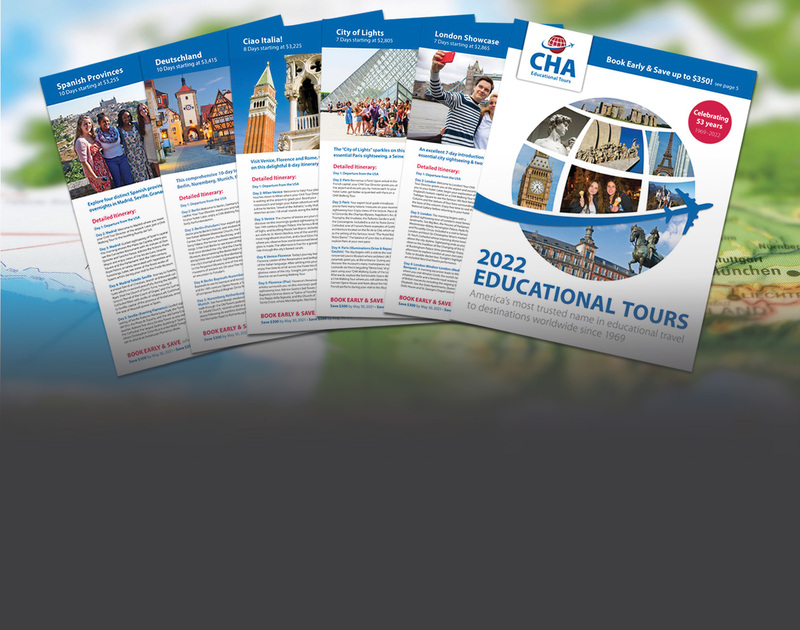 View our new tour catalog filled with over 110 value-packed educational tours to destinations around the globe by browsing our latest Digital Catalog now! Complete the form below and we will provide a link to instantly view our Digital Catalog. Would you like a call from a CHA Tour Counselor?